You heard me, no stirring! This is such a great way to make risotto and I can tell you now that if you did a taste test with a traditional risotto and this baked one nobody would be able to tell the difference, so why wouldn’t you save yourself twenty five minutes of stirring over a hot stove! Donna Hay, whose recipe this is, loves to find short cuts and she’s really succeeded with this dish. 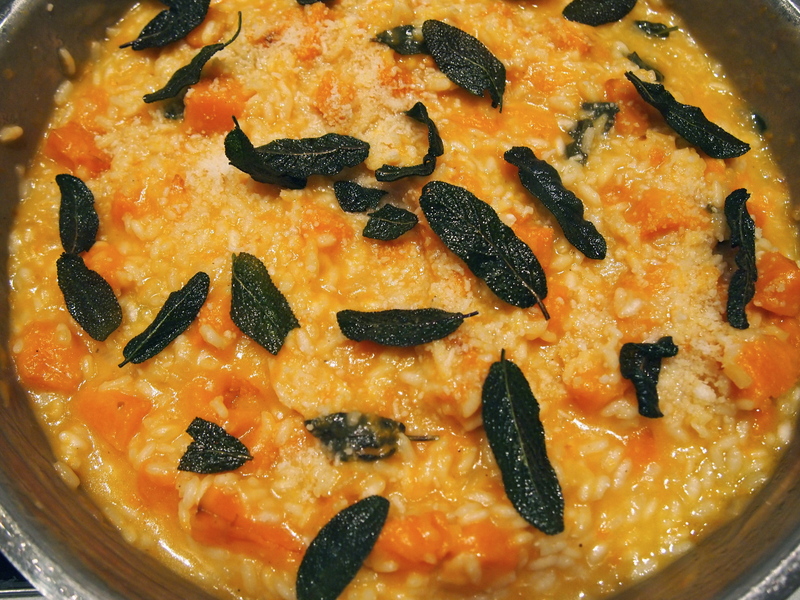 The only change I made was to roast the diced pumpkin before adding them to the risotto. The original recipe has the pumpkin added in raw but I wanted to make sure that the pumpkin would be sufficiently softened and to also add a slight caramelisation. You could certainly skip this step if you’re stretched for time. I can see myself adapting this recipe to make a variety of baked risottos – everything from mushroom risotto to risotto Milanese would work and using this method risotto turns into a meal that requires very little effort or time. I served this as an accompaniment to Ina Garten’s lemon roasted chicken breasts and it was such an easy meal to throw together with everything being baked in the oven at the same time. Preheat oven to 200C. Place the diced pumpkin on a baking sheet and drizzle with 2 tablespoons olive oil. Season with salt and pepper and mix with your hands to ensure all the pumpkin is coated with some oil. Place in the oven and roast for 25 – 30 minutes. Remove the pumpkin and set aside – this step can be done a few hours in advance. 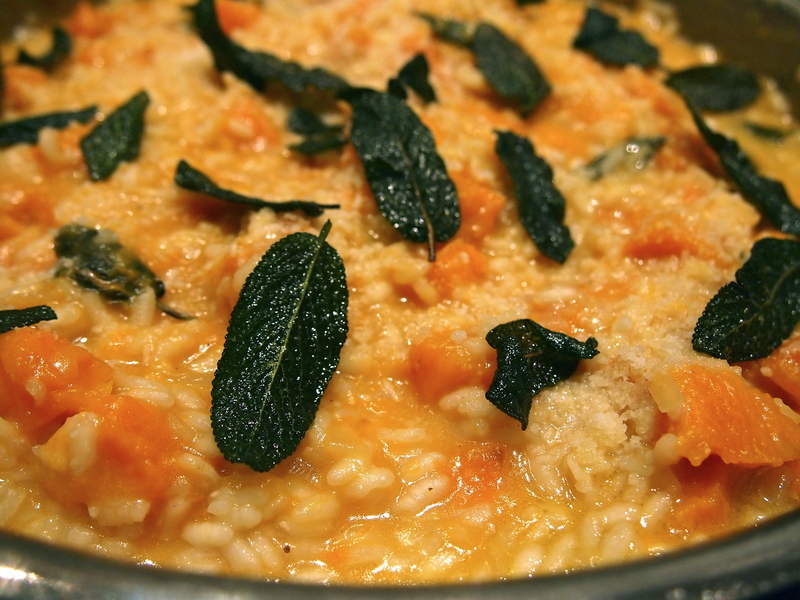 In Donna Hay’s original recipe the pumpkin isn’t roasted and is added to the risotto raw, so if you’re stretched for time you can certainly skip this step but I like the extra layer of flavour the roasted pumpkin adds to the risotto. Heat a large ovenproof saucepan (I used large but shallow sauté pan) over medium-high heat. Add the first measure of oil and onion and cook for about 5 minutes or until soft. Add the sage and cook for another couple of minutes. 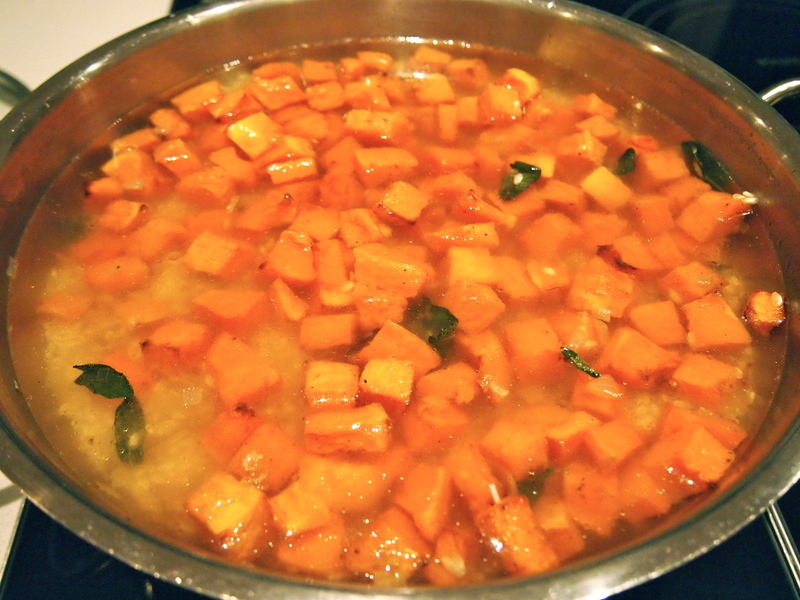 Add the rice, pumpkin, stock and season with salt and pepper. Cover with a tight-fitting lid and bake for 30 minutes. At this stage the risotto will still be quite liquid. Remove the pan from the oven and place over medium heat and stir for a few minutes or until the liquid in the pan has slightly thickened. Turn off the heat and stir through the butter and parmesan and stir for another couple of minutes. Taste for seasoning and adjust if necessary. 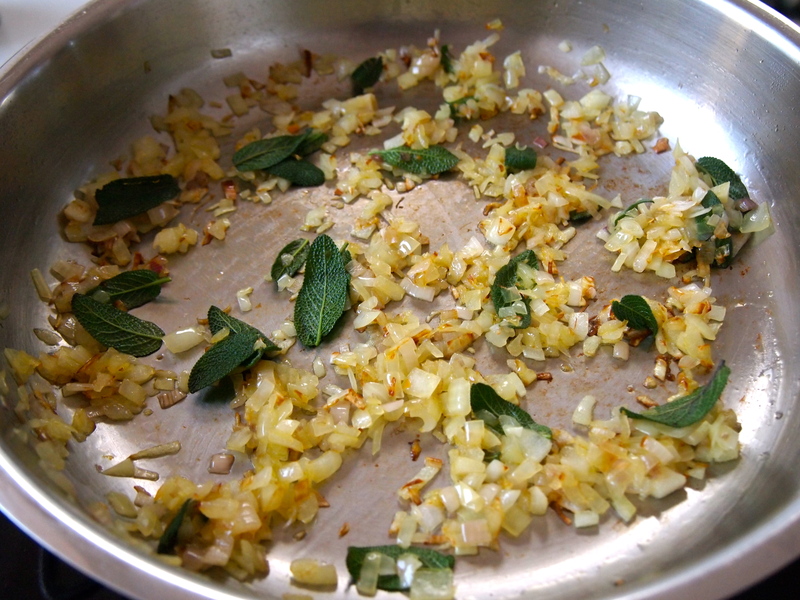 Sprinkle with extra parmesan and fried sage leaves to serve.